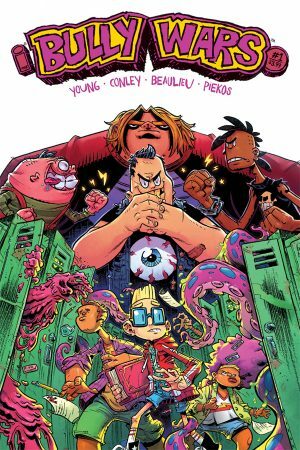 I Hate Fairyland and Deadpool writer Skottie Young and artist Aaron Conley (Sabertooth Swordsman, Rocket Raccoon And Groot) team up for a hilarious all-new, all-ages ongoing series! Rufus, the biggest bully in Rottenville since kindergarten, suddenly goes from bully to bullied on the first day of high school. He’s forced to make a shaky pact with his favorite geeks: Spencer and his twin sibling besties, Edith and Ernie. Together they’ll have to find a way to survive the Hunger Games-like contest known simply as the Bully Wars – where the winner will rule the school! A mutation in Toxoplasmosis causes menstruating women to turn into ferocious killer wildcats – easily provoked and extremely dangerous. As panic spreads and paranoia takes root, the fate of the world rides on the shoulders of one twelve-year-old girl. 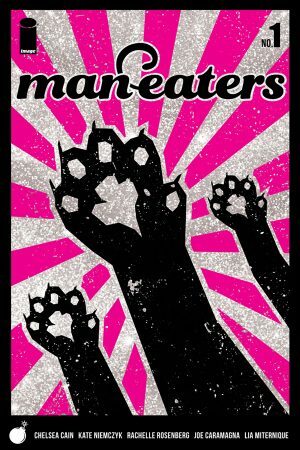 Part Cat People, part The Handmaid’s Tale, Man-Eaters will have everyone talking. From the creative team behind the Eisner-nominated series Mockingbird: writer Chelsea Cain, artist Kate Niemczyk, colorist Rachelle Rosenberg and letterer Joe Caramagna, joined by Lia Miternique, Katie Lane and Stella Greenvoss. This September… the cat wants in. From the creators of the acclaimed Trees graphic novels, which are currently being adapted for television, comes something completely different. A professional pathfinder, his only ally a disaffected young murderess, breaks out of a torture cell in pursuit of his worst extraction scenario ever: escaping on foot across a sprawling and secret off-world colony established a hundred years ago and filled with generations of lunatics. 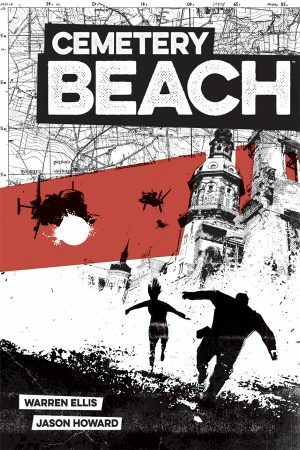 Warren Ellis and Jason Howard ignite a high-speed new action serial. Meet Pamela Evans. Much more than a typical Manhattan cab driver, she also happens to be a badass monster-fighter who wields an enchanted tire iron. Welcome to the year of her greatest adventure. 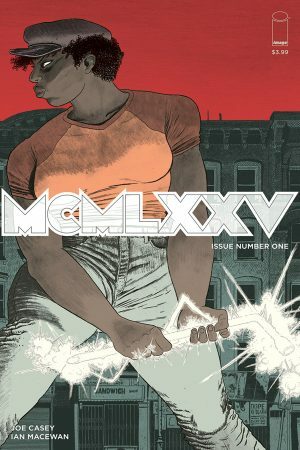 Joe Casey and Ian MacEwan team up for MCMLXXV: modern mythology for a new generation. 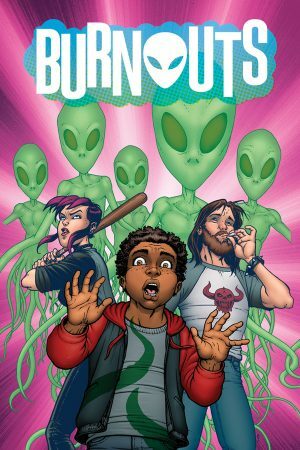 An all-new one-shot from Top Cow Talent Hunt winners! 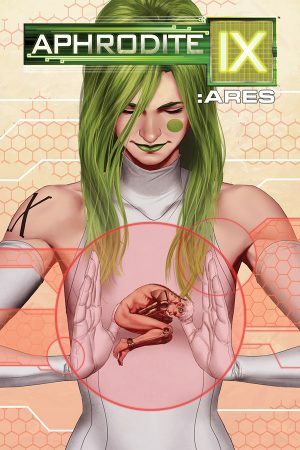 In this one-shot revisiting the IXth generation series, a chance encounter with Aphrodite IX makes a cyborg soldier risk everything to escape his cruel master’s domain. 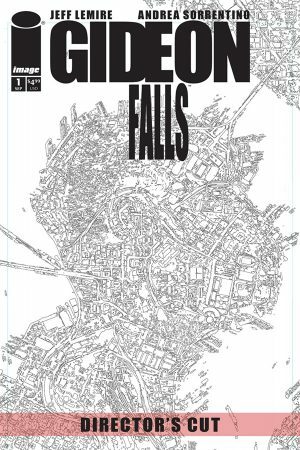 After selling out multiple print runs, Jeff Lemire and Andrea Sorrentino’s smash-hit thriller Gideon Falls gets a special edition of its explosive first issue in glorious black & white! Also collecting the first issue script, this “Director’s Cut” is a must-have for fans of one of 2018’s hottest new series! 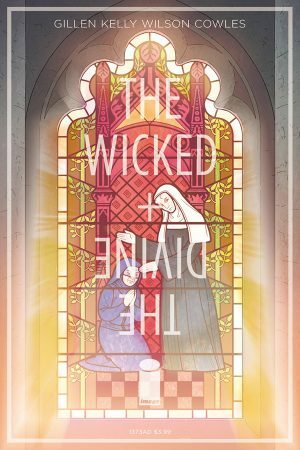 The final The Wicked + The Divine historical special plunges into the shadow of life after the Black Death. Kieron Gillen gets back together with Three collaborator Ryan Kelly to tell the story of penitent nun Lucifer hearing the confession of penitent murderer Ananke. Yes, everyone will be sorry.